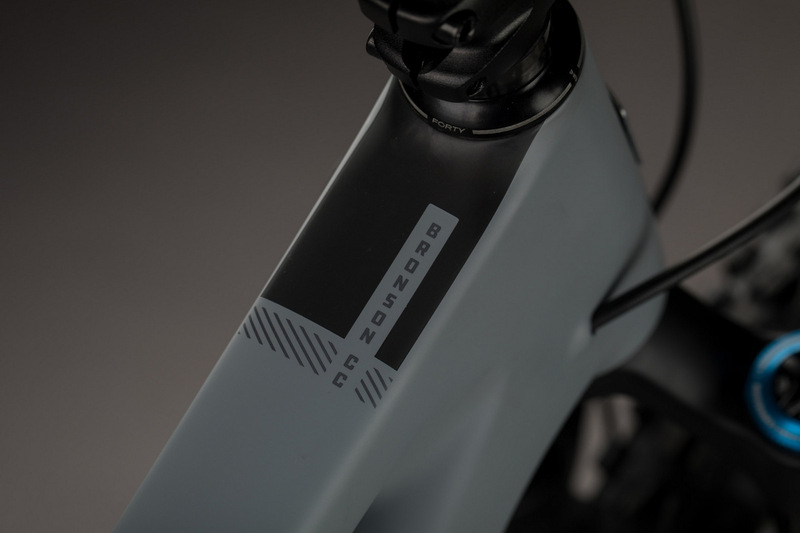 The Bronson is slotted between the 5010 and Nomad and parallel to the Hightower. Thus it’s not really allowed to change travel and wheel size. So how did they improve it? 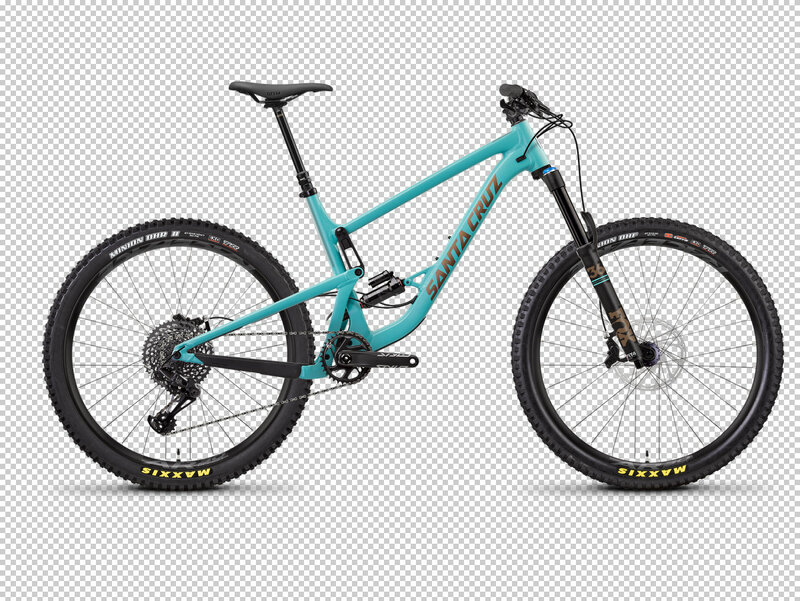 The answer is suspension, geometry, tire size and details. 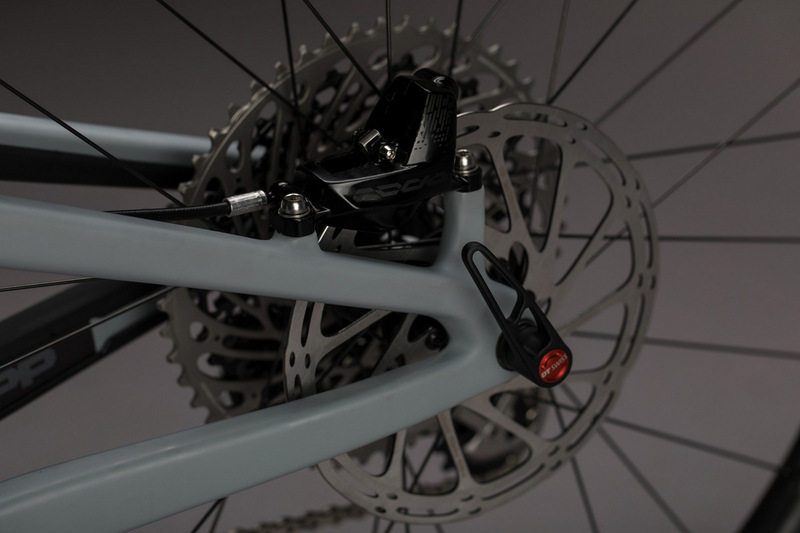 The suspension is now a lower-link style like the Nomad to give it a more linear suspension curve. 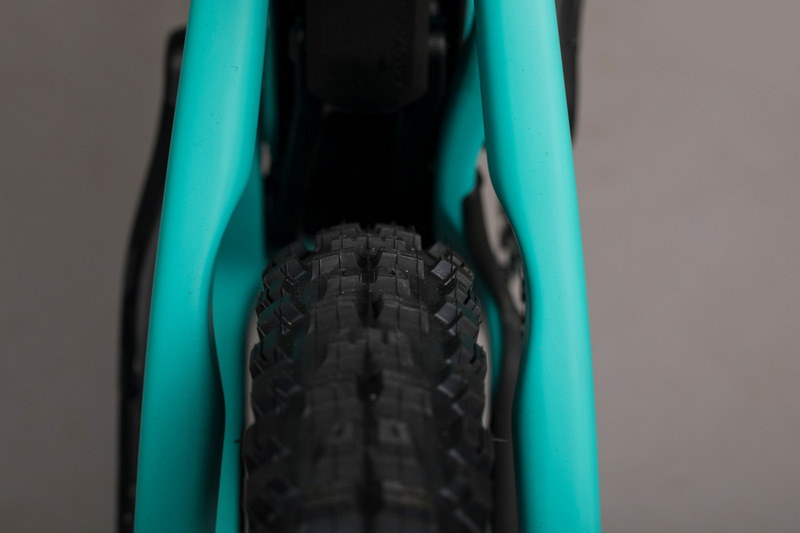 At this amount of rear travel, the dip in the outgoing Bronson’s travel was the source of wallow and ire from very astute riders. This bike is now smoother on the rough stuff and big hits. And it climbs tech stuff better as well. Geometry was due for and updated and they answered the call. 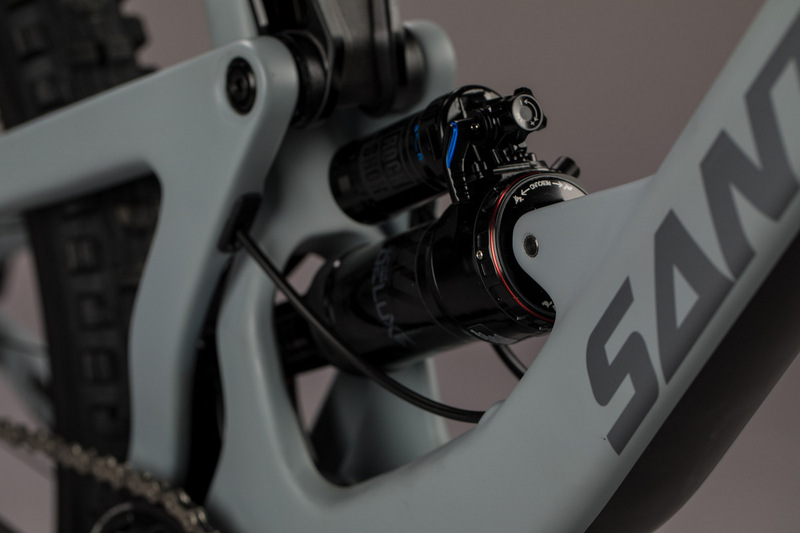 Part of the climbing prowess can be attributed to a more supportive suspension at the sag point where it doesn’t wallow and the rider feels efficient powering up tame or tech trails. 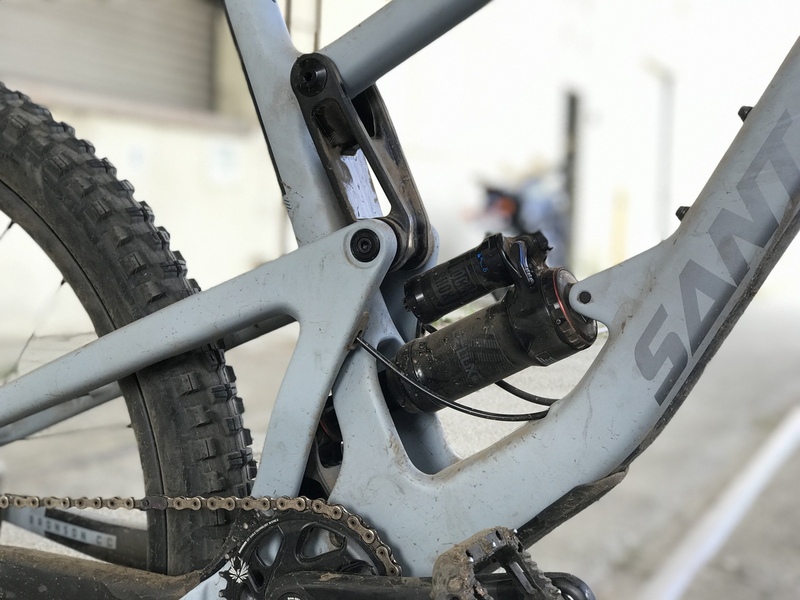 The seat angle has been a Santa Cruz Achilles heel of late and this Bronson addresses that with a 75.3 or 75-degree seat angle depending on the adjustable geometry rear link setting chosen. 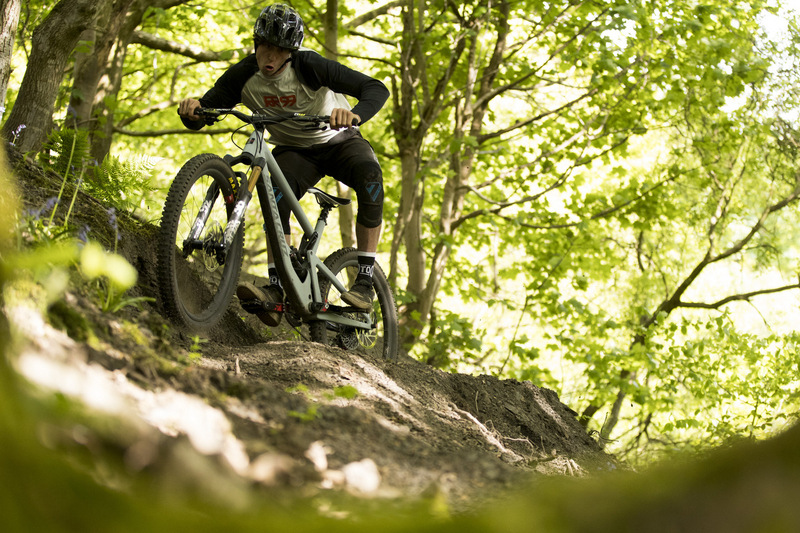 One of the great mergers between dropper posts and geometries is the freedom to choose steeper seat angles which work very well for climbing, putting the rider in a forward, leg-driving position. 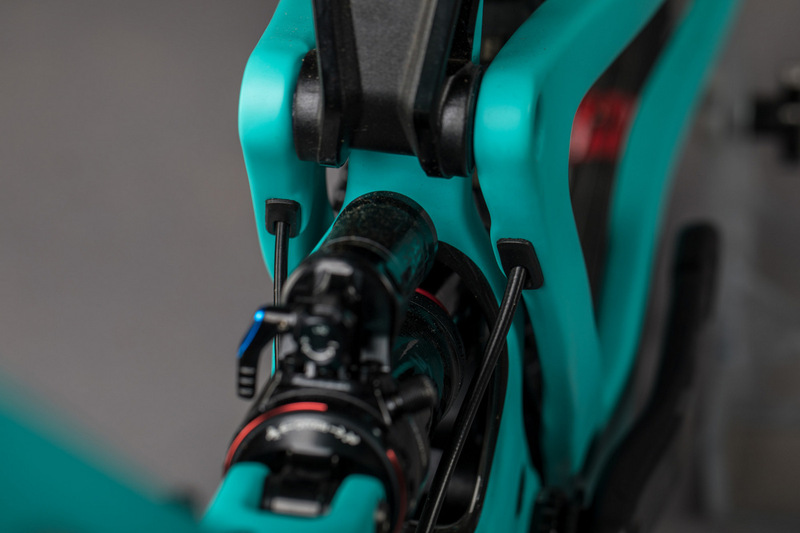 It also unloads the suspension during climbing and properly loads it when the rider is dropped down in attack position. 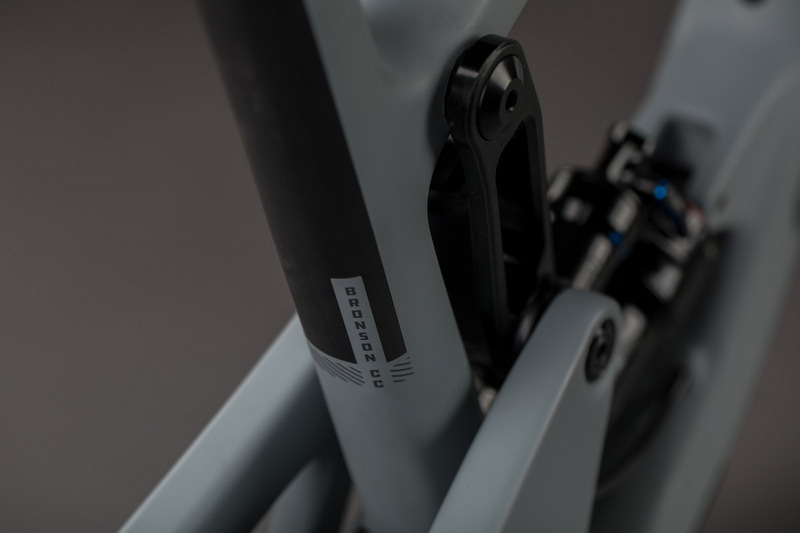 The key is the dropper post allows the rider to drop the saddle, neutralize that steep seat angle for descents and allow the rider to move around and attack the descents. Reach has now been increased by 15mm over the outgoing model. 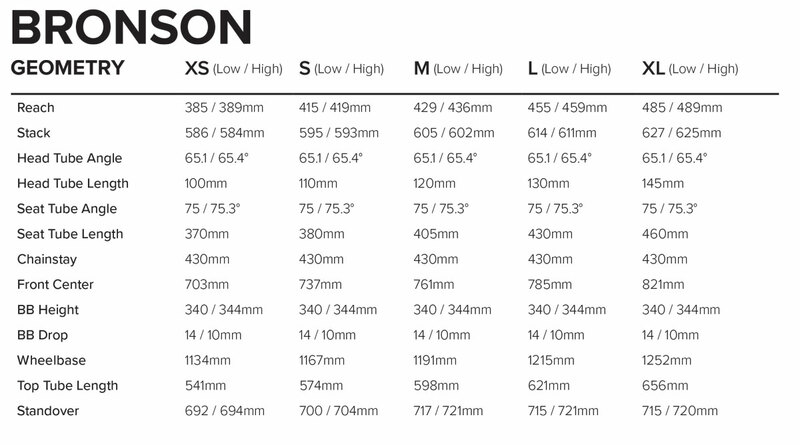 It’s 436mm for a medium in High mode. This is not on the long end of today’s geometry envelope but a welcome change indeed. 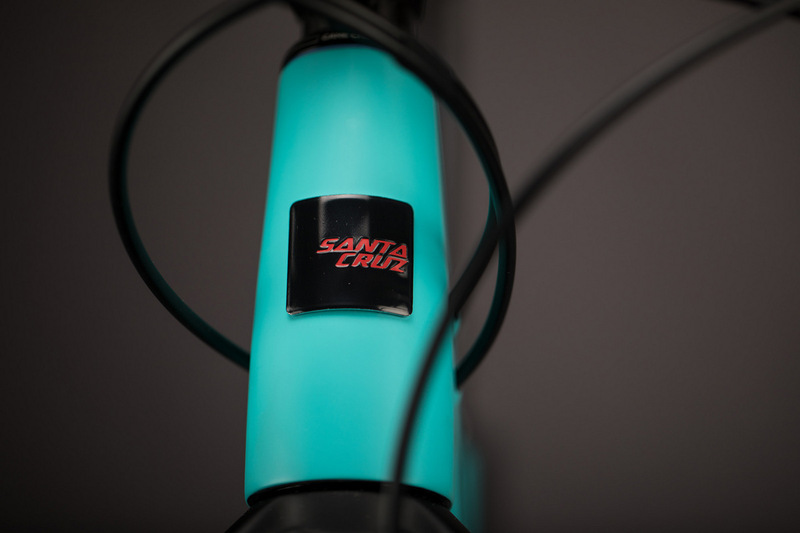 And typical of Santa Cruz releases these days, everything seems dialed. 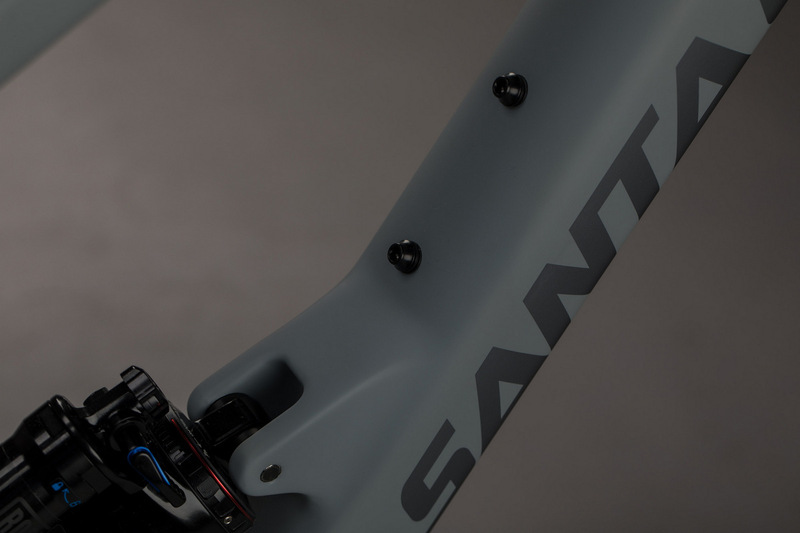 From paint schemes to stem lengths, everything seems flawless. They learn on every iteration and all the frame protection, cable entry/exits seem just right. 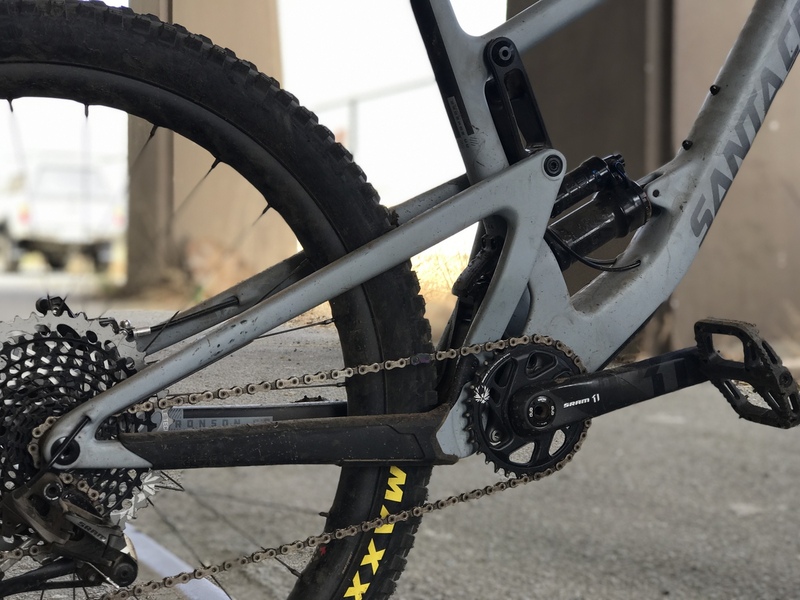 Their aim seems to be to supply the rider with a bike that needs no upgrades and parts swaps and they will be successful in this endeavor. Bars are too wide for most at 800mm but they can be cut (by the motivated ones). 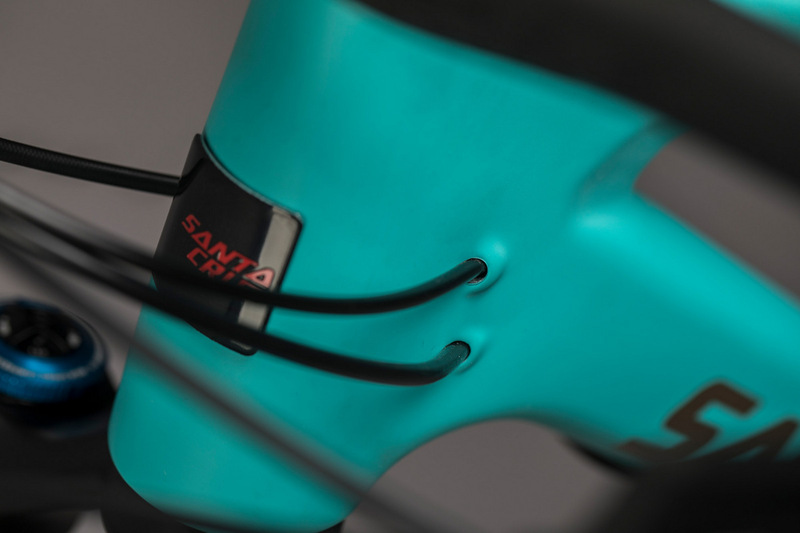 The lower link now interrupts the seat tube so riders can’t push the dropper post envelope now. 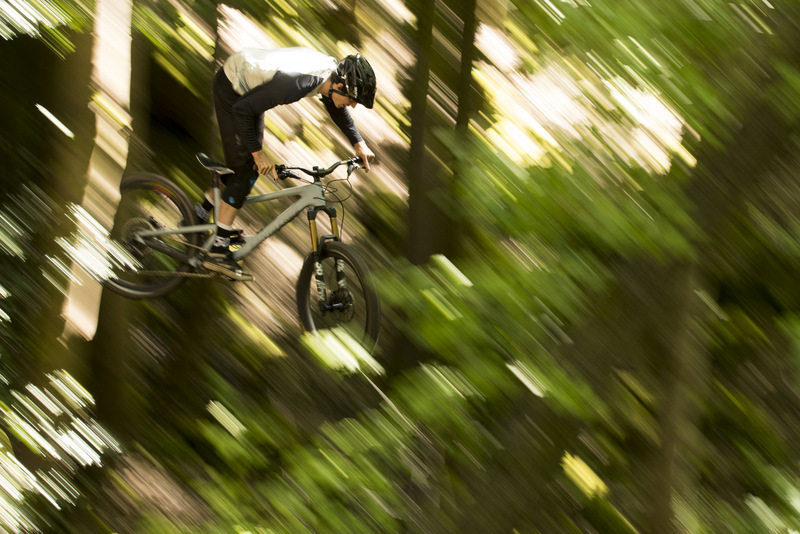 My 5’8″ stature can still do a 150mm dropper post but not 170mm. 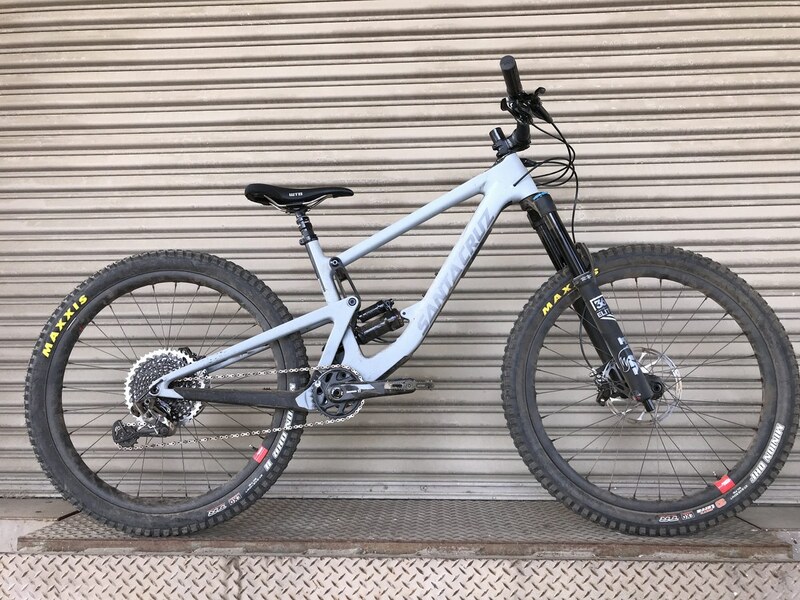 And the rear shock area is tight indeed, not allowing the beloved Fox X2 or the current Push Elevensix. But we can’t wait to throw a leg over it, long-term. 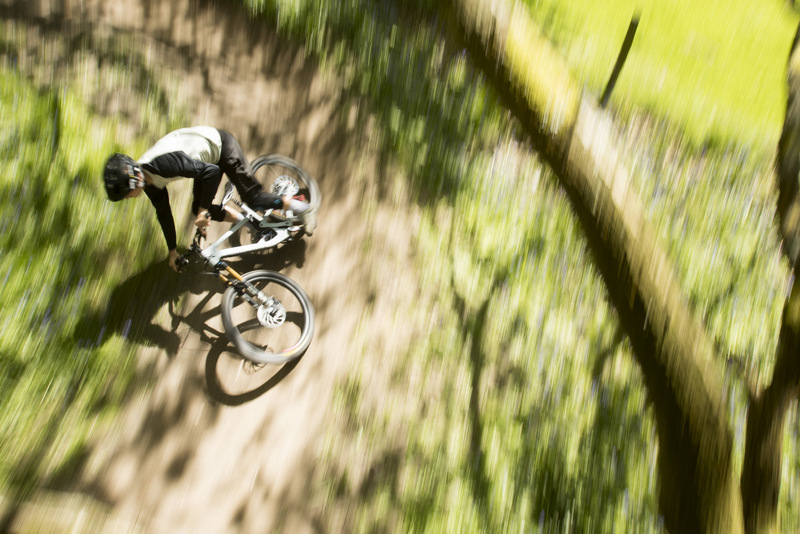 Josh preserves and unleashes energy with his front wheel. 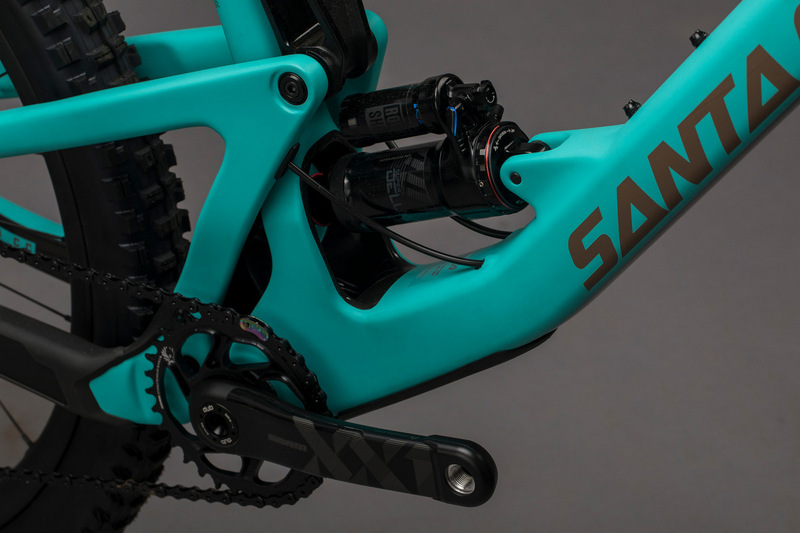 – VPP® is a versatile design that allows us to fine-tune suspension to suit the character of any model of bicycle, from XC to downhill, and everything in-between. 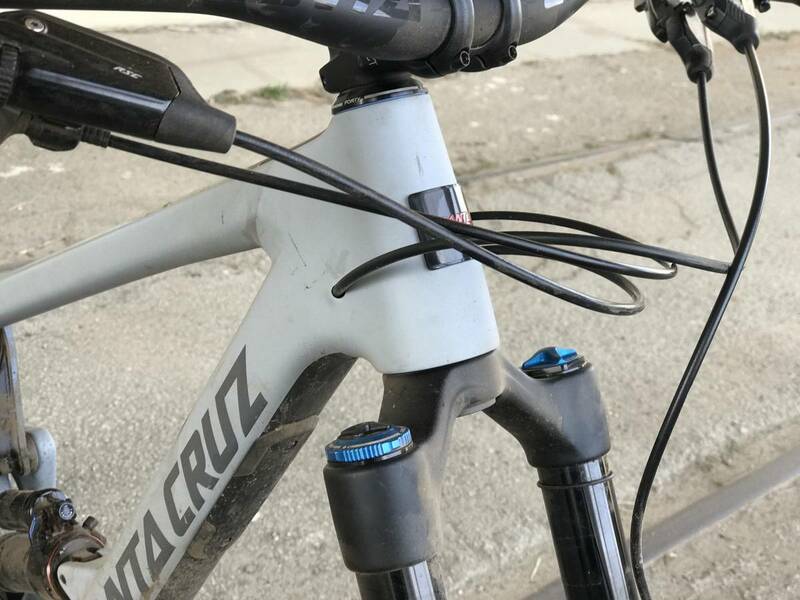 The upper- and lower-link VPP gives us even more options when designing the suspension to suit the intended purpose of a bicycle. 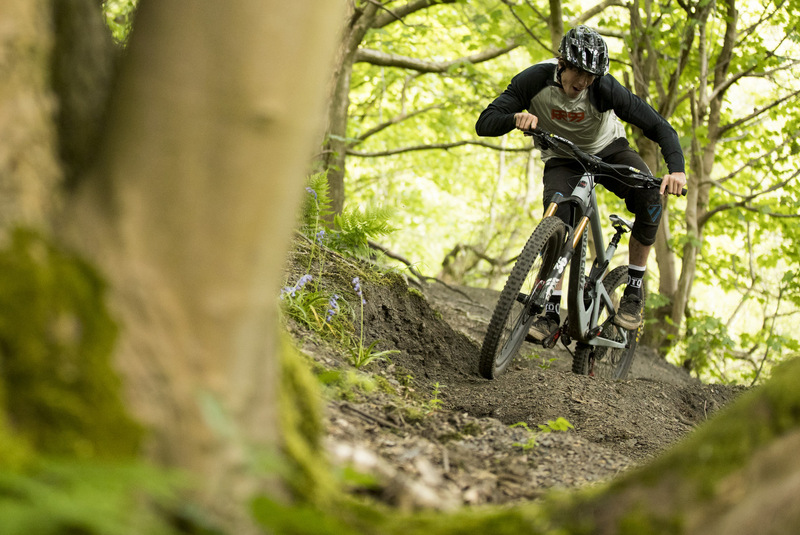 Like all Santa Cruz VPP bikes, the mantra is squish good, pedal good, no breaky. 2.8 clearance is supported thus allowing very knobby 2.6 tires plenty of mud clearance. 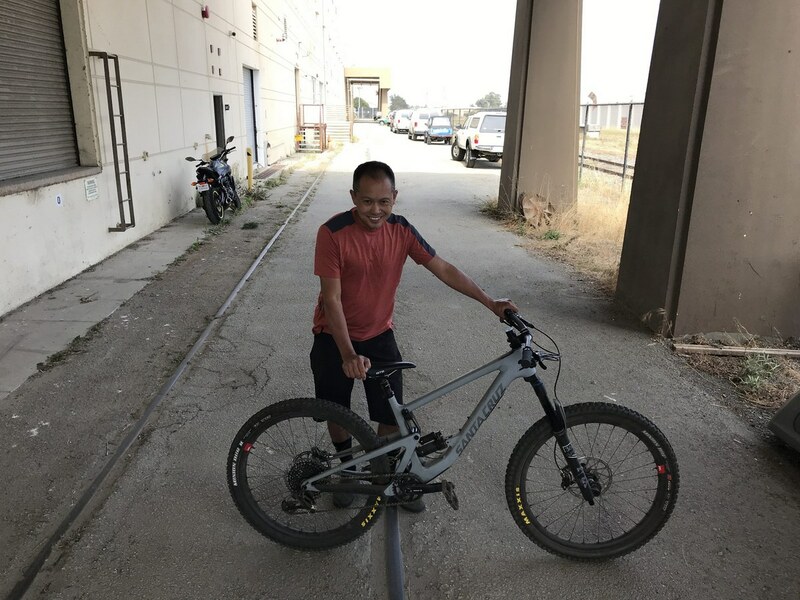 – 2.6-inch tires provide extra volume compared to traditional tires (2.1-2.5-inch) to get the benefits of fatter (Plus) tires but with the precision of smaller volume tires. Cable entry ports are now perfect with no rubber grommets while placing the cables at perfect angles. 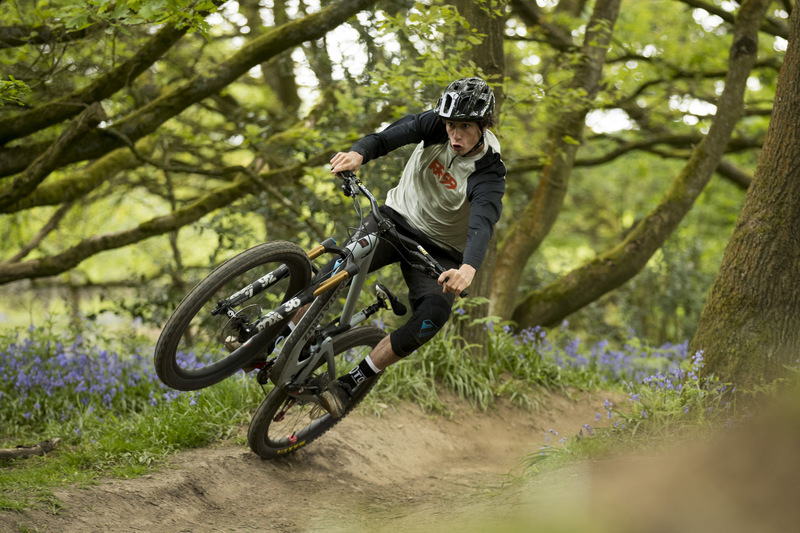 Josh Bryceland demonstrates just what this bike is capable of. Bryceland separating himself from the bike.